Fish oil is a rich source of omega-3 fatty acids that may help with certain medical conditions. While you can get omega-3 fatty acids by eating fish, you can also buy fish oil as a supplement. As with any supplement, if you have any known allergies, you are at risk of developing allergic reaction. Skin rashes are not a side effect of taking fish oil, but are a sign of an allergy. Before using fish oil supplements, talk with your doctor. 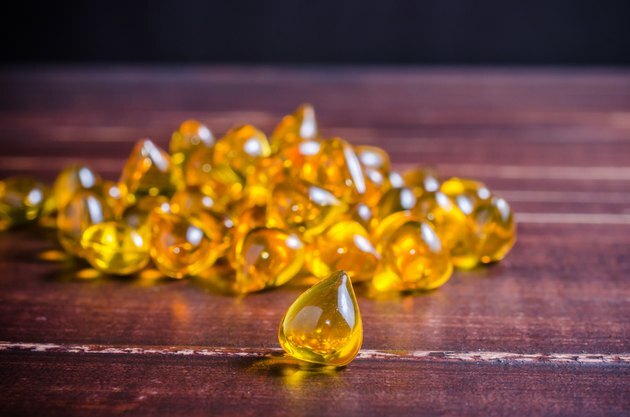 Fish oil is taken to treat and prevent a range of medical conditions, but has not been evaluated and is not regulated by the U.S. Food and Drug Administration. MedlinePlus states that taking fish oil supplements may help with rheumatoid arthritis, menstrual pain, high blood pressure, attention deficit-hyperactivity disorder, stroke, hardening of the arteries, kidney problems and weak bones. Fish oil is not recommended for people with liver disease, a pancreas disorder, diabetes, an under-active thyroid or if you drink more than two alcoholic beverages daily. Follow the directions on the supplements label and report any unwanted symptoms to your doctor. Stop using fish oil supplements if you develop a rash, and call your doctor. Allergy tests may be conducted to determine the exact cause of the rash. If you're clinically diagnosed with a fish allergy, your doctor will recommend you eliminate all seafood products from your diet.